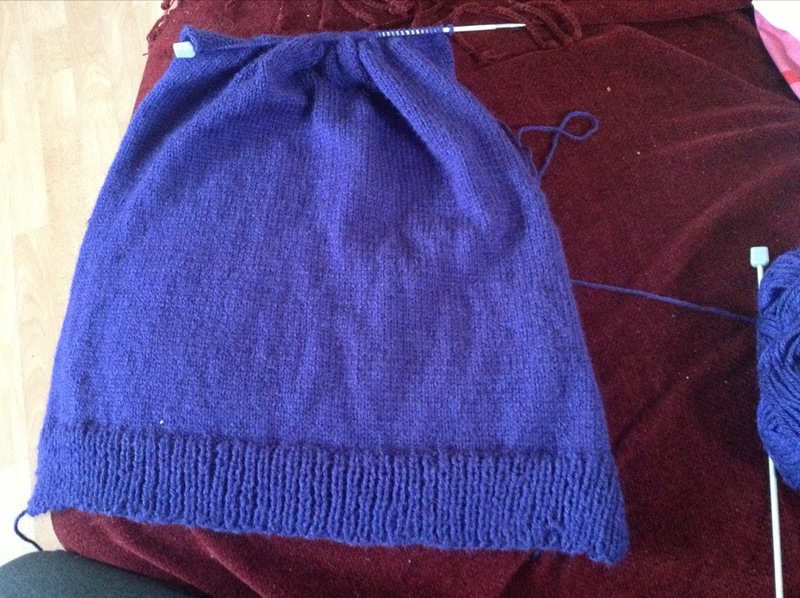 Ok, it’s gone quite well so far…the top I mean! I’ve finished 1 ball in this project and I have made a couple of mistakes but I’m not telling you where! I’m really excited to see it finished now, just got to keep going until its REALLY long…that’s the technical term, of course! Anyway, at this rate I might finish this top quite soon. It is quite a nice one to start wit just because there are only 2, simple panels to knit and the yokes and sleeves are crocheted! Anyway, must run! I’ll keep you updated! Wow! What size needle are you using? Your stitches are so tight! I wish I could get that kind of tension. Thanks! It is a size 3.5 on relatively thick wool but I am a very tight crocheter so it follows that I am in knitting as well! Shame you couldn’t learn all this at your mother’s knee. What are you on about mum? Would you learn to knit to teach me? All you could learn at your mother’s knee was how to make big loopy stuff with dropped stitches everywhere.